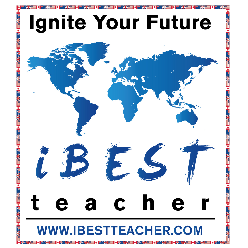 IBestTeacher focus on providing stable and efficient work chances for outstanding teachers all around the world. For this job, you can teach Chinese kids at home or anywhere you want, And all you need is a personal computer and high-speed wire line. Online English teachers are wanted to provide English teaching to Chinese students in age of 5 to 16 years old. providing stable and efficient work chances for outstanding teachers all around the world. Have fun : Teach in an online platform with the kids from everywhere of China. Enjoy flexibility Work from home or anywhere else that you want.Also set your own schedule and work as little or as many hours as you'd like. Skip lesson plans and grading: We provide the lesson plans for you to choose and we deliver the messages from parents. You just need a computer and passion and skills for teaching.